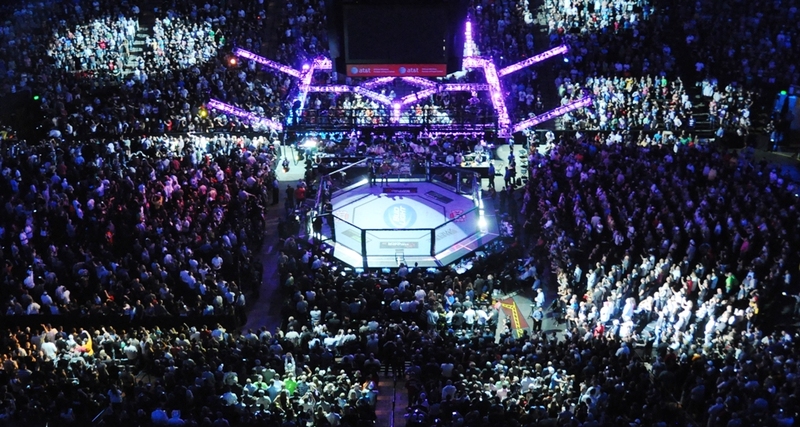 On Saturday, April 25, the UFC hosted UFC 186: Johnson vs. Horiguchi from the Bell Centre in Montreal, Quebec, Canada. In the night’s main event, the promotion’s flyweight kingpin, Demetrious Johnson, put his 125-pound on the line against Japanese challenger Kyoji Horiguchi. Johnson aimed to make the sixth defense of his title. He was previously in action in September, submitting Chris Cariaso via kimura at UFC 178. 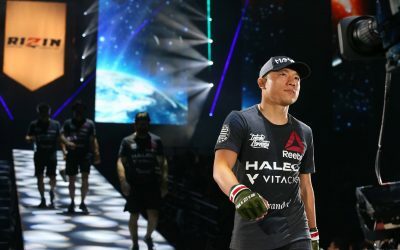 The 24-year-old Horiguchi entered the title affair riding a nine-fight winning streak that included four straight inside the Octagon. The co-main event of the evening featured former light heavyweight champion Quinton “Rampage” Jackson against Brazilian Fabio Maldonado. 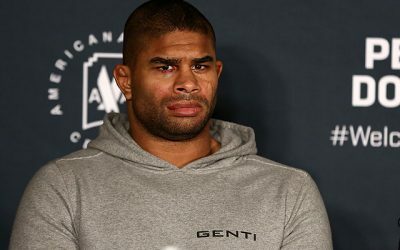 Rampage was pulled from the card after a court injunction from former employer Bellator MMA, but a last-minute appeal opened the door for his return. 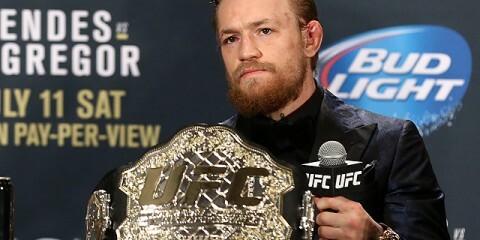 The 36-year-old had won three straight outside the Octagon. Maldonado, meanwhile, had won four of his last five fights. Also on the main card, a pair of The Ultimate Fighter alums met when middleweights Michael Bisping and C.B. Dollaway locked horns. England’s Bisping had alternated wins and losses for the past three years and will look to bounce back from a submission loss to Luke Rockhold in November. Dollaway saw his climb up the 185-pound ladder come to a halt in December when he was stopped by Lyoto Machida in just 62 seconds. 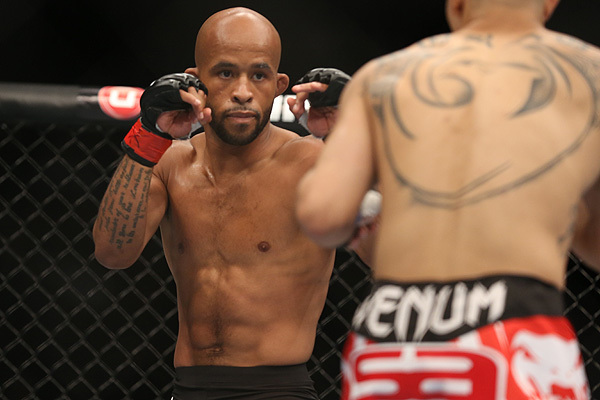 Demetrious “Mighty Mouse” Johnson continued his dominance over the flyweight division with a submission finish of Kyoji Horiguchi. Although Horiguchi had a strong first round, he still gave up a takedown and endured some ground-and-pound from Johnson. After edging the Japanese challenger in the first round, Johnson started to run away with the contest in the second round and became more dominant with each passing stanza. 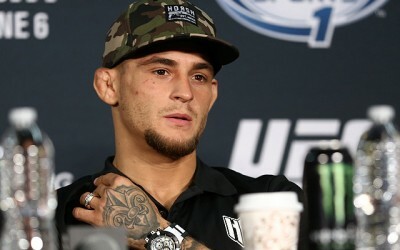 Johnson could have coasted to the lopsided decision win, but instead chose to go for an armbar in the closing seconds. Horiguchi had no choice but to tap with just one second remaining in the fifth round, giving Johnson another successful title defense and a new record for the latest finish in UFC history. 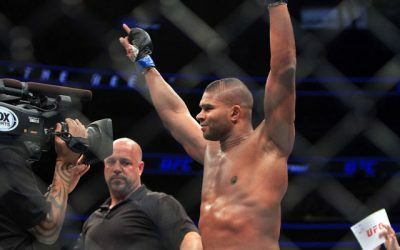 After nearly being prevented from fighting on the card, Quinton “Rampage” Jackson emerged triumphant in his return to the Octagon. 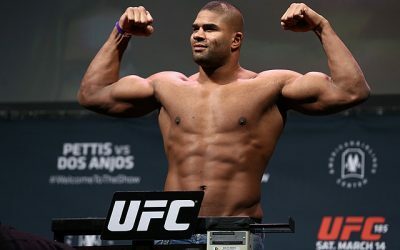 Fighting in a catchweight contest, Rampage displayed striking diversity that hasn’t been present in his game for years. 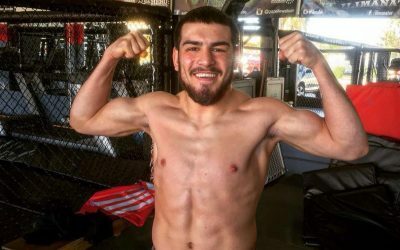 The former light heavyweight champion landed the bigger strikes and combinations throughout three rounds with Maldonado and claimed the unanimous decision victory. In one of the night’s most entertaining bouts, middleweight Michael Bisping survived some early trouble and rallied for the decision win over C.B. Dollaway. Dollaway clipped Bisping in the opening frame, rocking the Brit. Bisping was able to scramble and survive Dollaway’s attack. Bisping outworked Dollaway in the second stanza and had Dollaway on the defensive. Both fighters continued to give it their all in the third frame, but Bisping tagged Dollaway early and finished the round strong. Bisping took two rounds on the scorecards to claim the unanimous verdict. All the Street Fighter hype in the world couldn’t save the debuting Shane Campbell from a short right hand. Campbell’s opponent, John Makdessi, connected with the right in the first frame and followed with a barrage of strikes. Campbell survived the onslaught, but Makdessi continued to press forward and dropped Campbell once more. With just seconds remaining in the round, Makdessi rained down strikes on the turtling Campbell until the referee stopped the fight, giving Makdessi the TKO victory. Bantamweight Thomas Almeida opened the pay-per-view portion of the festivities with a convincing finish of Yves Jabouin. 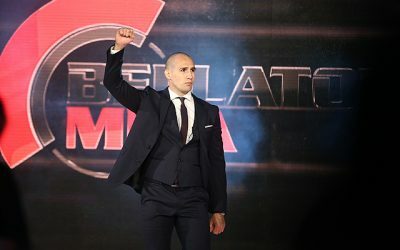 Almeida poured on the punches in the closing minute of the first round, overwhelming Jabouin against the cage and forcing the referee to halt the contest. The TKO victory moves Almeida to an undefeated 19-0 career mark. Veteran welterweights Patrick Cote and Joe Riggs topped the preliminary card bill. Cote came out with a strong first round, but Riggs made the fight competitive in the second and third stanzas. Riggs couldn’t do enough to sway the judges in his favor, however. Cote took the unanimous nod by claiming two rounds on all three scorecards. It may have seemed like an unnecessary rematch, but it turned out to be a chance for a little bit of revenge for Alexis Davis. 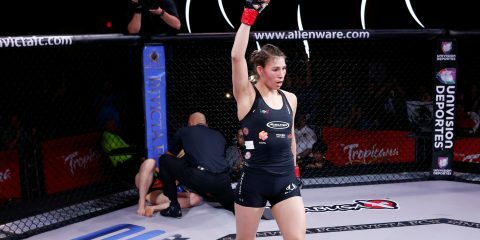 After losing in two previous match-ups against Sarah Kaufman, Davis gained a small bit of redemption with a second-round submission finish of her fellow bantamweight competitor. Kaufman displayed excellent hands in the first round and appeared to be on her way to another win over Davis, but Davis responded in the second stanza by scoring a takedown, working for a triangle and transitioning to the armbar for the finish. The Ultimate Fighter: Nations winner Chad Laprise kept his unblemished record intact with a unanimous decision victory over fellow lightweight Bryan Barberena. Laprise turned in an impressive striking display in the opening stanza, but Barberena turned the fight into an entertaining war in the second and third frames. 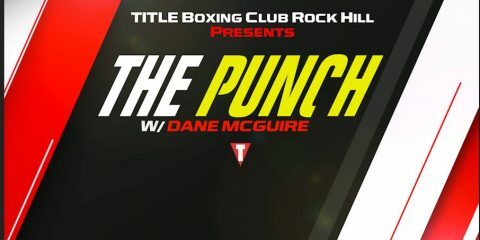 Barberena came up just short, however, with two judges awarding Laprise two rounds and the third judge giving all three rounds to the undefeated fighter. The first finish of the night came from Olivier Aubin-Mercier. 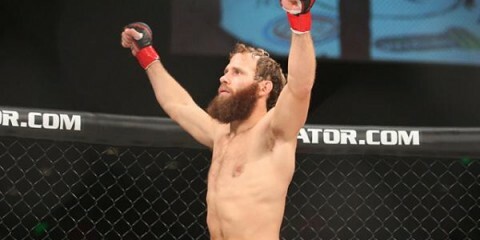 The lightweight fighter used his grappling to dominate David Michaud in the first and third rounds, and engaged in a back-and-forth stand-up battle in the middle frame. In round three, his efforts led to a rear-naked choke finish. Nordine Taleb smothered Chris Clements on the ground for the better part of three rounds in their welterweight clash. His dominant showing garnered 30-27 scores from all three judges to give Taleb the unanimous nod. 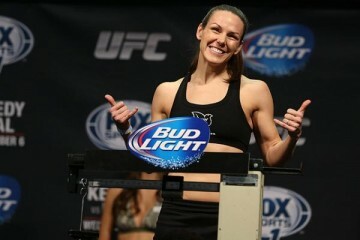 Former women’s bantamweights Valerie Letourneau and Jessica Rakoczy returned to the Octagon for a strawweight showdown. After a back-and-forth round of grappling to open the fight, the pair remained mostly on their feet in rounds two and three. Letourneau edged Rakoczy, a former boxer, in the striking department to take the unanimous nod. The Ultimate Fighter alums Randa Markos and Aisling Daly engaged in a back-and-forth war to kick off the event. Markos displayed solid striking and an impressive grappling attack en route to the unanimous decision victory.